Kama City was established in 2006 with the merging of Yamada City and the towns of Kaho, Inatsuki and Usui. 1) Embedded in the area of Kama City is an important social and cultural history. Though the area has been neglected over the years, the society, the culture and the history has not seen any real or significant decline. This has fostered a unique social and cultural situation very well suited for cultural exchange. 2) The area itself is located at the center of Northern Kyushu, which as a whole has a rich cultural and social history. This history is very much influenced by Japanese – Dutch cultural and trade relations. However, this history and memory has faded over the years. 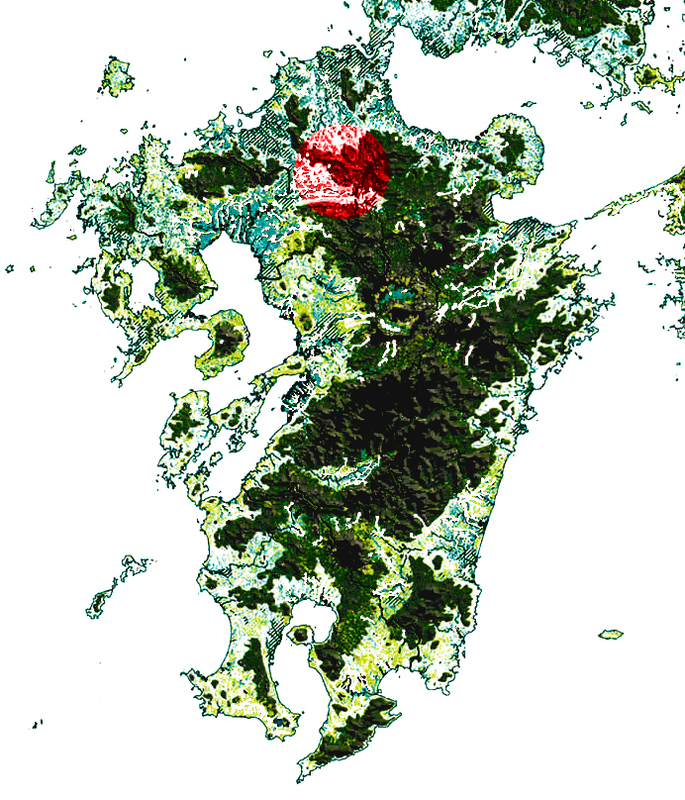 Image of Kyushu, the general area of Kama City is highlighted in red. 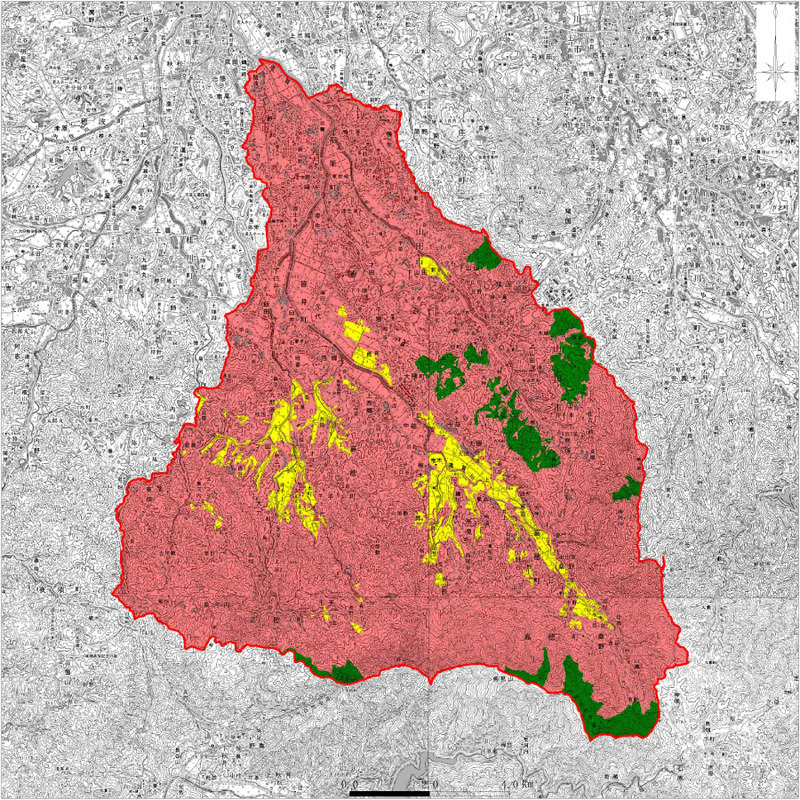 The area of Kama City is highlighted in color.